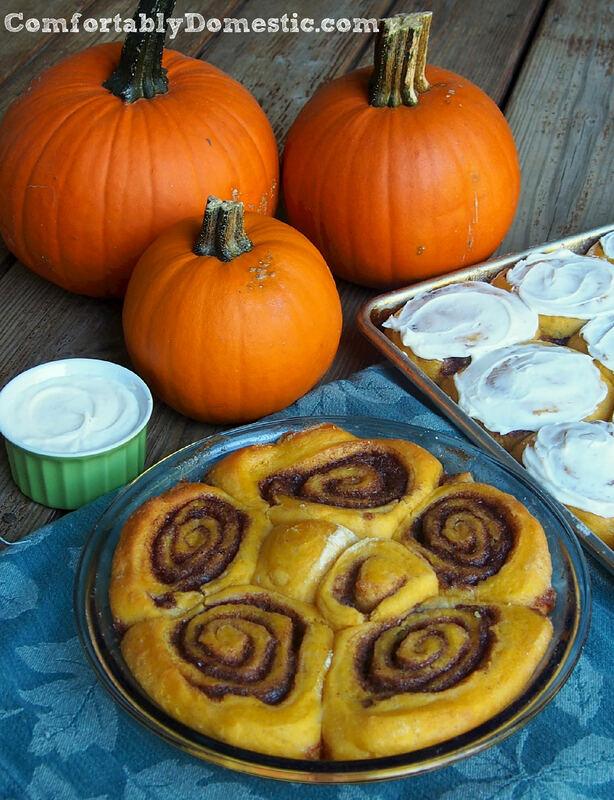 Pumpkin cinnamon rolls usher in the cool comfort of autumn any time of the year. Piping hot, and just dripping with cream cheese icing. Comfortably Domestic Confession: I’ve been a a certifiable Cinnamon Roll Bender lately! I’m rolling just about anything tasty that I can possibly think of into the pillowy morning pastries. Primarily as a vehicle to increase the quantity of cream cheese icing in my diet. E’rybody needs more cream cheese icing in their diets, amiright? Since Pumpkin is the Official Flavor of Fall around these parts, and given that pumpkin and cream cheese icing are made for each other, then why wouldn’t I combine a warm, pumpkin cinnamon roll with a hefty layer of creamy goodness? It’s the right thing to do. Baking cinnamon rolls from scratch couldn’t be easier. The yeasty dough is made ahead of time, requires absolutely no kneading, and rolls out like a dream–it practically begs for a the creamy layer of sweet, cinnamon butter to be slathered over it. Roll the dough up & over the cinnamon filling, slice the rolls, and lay them in the buttered baking vessels of your choice. After a few minutes in the oven, your house will smell so wonderful that you’ll actually step out onto the porch to check your address to verify that you are, in fact, standing in your house. But be prepared! The scent of cinnamon wafting through that open door will bring the neighbors running to your yard, forks and glasses of milk in hand. Hoping for a bite of warm Pumpkin Cinnamon Rolls! But, if the thought baking cinnamon rolls from scratch has you a bit weak in the knees, I’m here to tell you that you can do it! Cinnamon rolls are not exceedingly difficult to make, but they do take time. I like to make the dough the night before, pop it in the ‘fridge, and leave the butter and cream cheese on the counter overnight to soften before getting a good nights sleep. Sometimes, I even make the filling and the icing ahead of time and leave them on the counter, too. I’m sassy like that. Some (Read: Bacon Slayer) may call me impatient in the morning. The next day, I get up a little early to assemble the pastries, and my family wakes up to the luxurious smell of fresh Pumpkin Cinnamon Rolls baking in the oven. I am then greeted with big bear hugs, and groggy promises of undying love and affection from Bacon Slayer and the Sons. I adore cinnamon roll mornings! If that kind of reception still doesn’t cure the jitters of the idea of making cinnamon rolls from scratch, then I don’t know what will! Actually, I do. Click on another favorite cinnamon roll post of mine for step-by-step directions. It will be like I’m baking them right there with you in your kitchen. 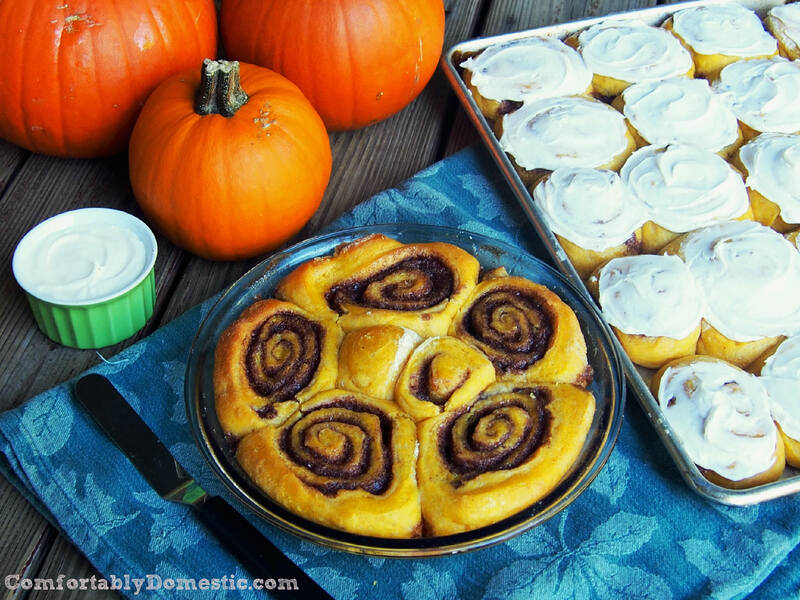 You’ve totally got to have these pumpkin cinnamon rolls! Usher in the cool comfort of autumn any time of the year, with warm pumpkin cinnamon rolls just dripping with cream cheese icing. Whisk the pumpkin puree into the cooled mixture until blended. 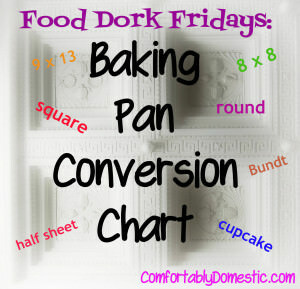 Sift the flour, salt, baking powder, baking soda, and nutmeg over top of the wet ingredients. Sprinkle the yeast over everything, and stir with a wooden spoon to form a smooth, yet sticky dough. Cover the Dutch oven with a clean towel, and allow mixture to rise until it doubles in bulk--about 2 hours. 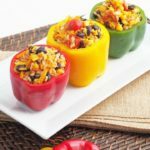 After the initial rise, place a lid on the pot, and refrigerate overnight. The dough is quite sticky, and will be easier to work with after being refrigerated. Refrigeration also slows the yeast activity while still allowing the dough to rise. 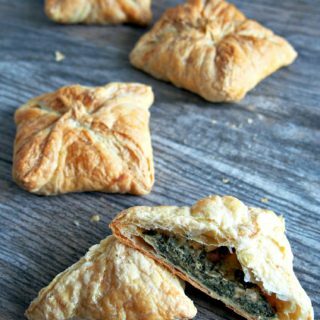 Take the dough out of the refrigerator the next morning, and allow it to stand at room temperature while preparing the filling and icing. In a small bowl, beat the softened butter, ground cinnamon, and brown sugar together with an electric mixer until it is fluffy and lightens in color; set it aside while whipping up the icing. Turn the dough out onto a clean, well floured work surface. If possible, have a bench scraper handy when working with the dough. Lightly flour the top of the dough, and roll it evenly into a 24” x 8” rectangle. Dough should be about ¼ inch thick. If at any time the dough sticks to the rolling pin, sprinkle the dough with a little more flour. Use an offset spatula to spread the filling over the dough to within 1/2 inch of the edges. Beginning with the long side farthest from you, tightly roll the dough over the filling towards yourself. Take your time to roll it tight—we don’t want any loosey-goosey cinnamon rolls! If at any point the dough is sticking to the work surface, gently run a thin bench scraper under it to loosen without tearing the dough. 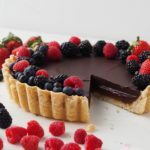 Once the dough has been rolled, pinch the edges and seams together to seal the buttery goodness of the filling inside. 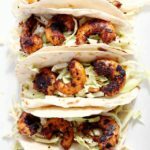 Use a sharp knife to cut the roll into twenty four 1-inch pieces. Place the pieces (cut side up) into the prepared pie plates, about an inch or so apart. I usually place 6 rolls in each pie plate—one in the middle, and five around the perimeter. (Or when 9” x 13” baking dishes, place 12 rolls in each dish—3 rows of 4 rolls.) Once all the rolls are cut and nestled in their pie plates, allow them to rest for about 10 minutes. Now is an excellent time to preheat the oven, if you haven’t already. Bake the cinnamon rolls for 17-20 minutes, or until they are lightly golden brown around the edges, and the centers are set, but haven’t browned. Remove cinnamon rolls from the oven to cool on a wire rack for 10 minutes. After the 10 minute rest, pour icing over the still warm cinnamon rolls—you will have more than enough icing to cover 24 rolls. Pouring the icing while the rolls are still warm will allow it to seep into the creases of the rolls--this is a very good thing. Use an offset spatula to ensure that the icing is covering every exposed inch of the cinnamon rolls. Allow rolls to cool for another 10 minutes, if you desire to serve them warm; or, allow rolls to cool completely before eating, depending on your preference. Store leftover cinnamon rolls tightly wrapped at room temperature for up to 2 days. Once baked, iced, and cooled, these cinnamon rolls freeze beautifully! Just tightly double-wrap the pie plates with plastic wrap, and then wrap them again with aluminum foil. Freeze for up to 2 months. 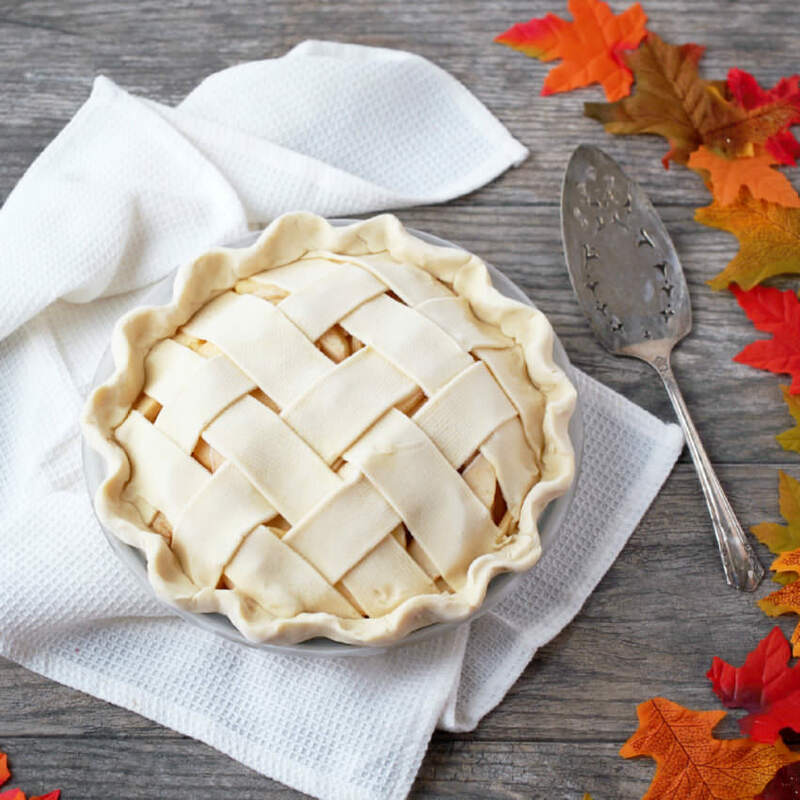 To serve, allow rolls to thaw on the counter overnight, remove the plastic wrap from the pie plate, replace the foil, and reheat at 325 degrees for about 10 minutes to warm. Friends, my pumpkin cinnamon rolls aren’t the end! 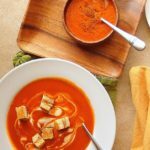 This week, my Bloggy Besties and I are dedicating this entire week to the Official Squash of Autumn–the Pumpkin! We’ve got a great line up of pumpkin-themed treats–both sweet and savory! Me and my Pumpkin Cinnamon Rolls! I’m back with Pumpkin Kiss Cookies! I am thinking that these could be a good Thanksgiving dessert contribution. Or is that a little bit insane? I'm just of the school that even though traditional is good, what people are sure to inhale is better and I have never ever in my natural life met anyone who did not LOVE cinnamon rolls. What a delightful dish! I think you'd be the star of the show if you brought these cinnamon rolls to Thanksgiving. These may have to be made for Thanksgiving. MIL (we always do Thanksgiving at her place) loves pumpkin, and if I'm gonna do a race, I need something carb-licious afterwards, so win-win! Best. Post. Race. Fuel. EVER!! Oh. Mah. Goodness! Yes you do, Mads! You can make these cinnamon rolls on a large cutting board, or small dining table. No more excuses! Josie Pug needs more cinnamon rolls in her diet! 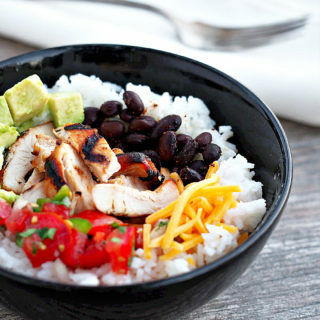 Dude, you have no idea how stoked I am that you've shared this recipe!! 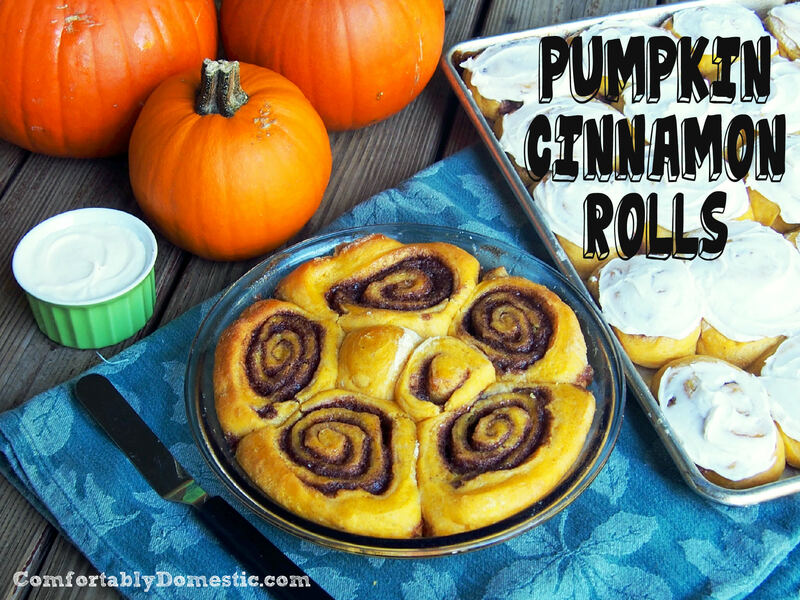 I adore cinnamon rolls and the fact that you added pumpkin with the delicious icing makes my heart skip a beat. Love, love, love!! Well then, you will certainly love these cinnamon rolls Lauren. Surprise Mr. B with them, and he'll probably shout his undying love for you from the rooftops! Yes please! I love pumpkin cinnamon rolls they just scream fall! And man do they smell good while baking! Your 30 days of pumpkin recipes is amazing, Carrie! 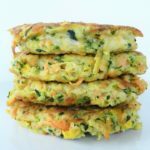 Friends--if you love All Things Pumpkin, be sure to check out BakeaholicMama for 30 fab pumpkin recipes in the month of October. Yum! 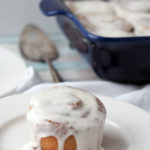 These look great, I think it's time to initiate some my cinnamon roll baking in my life. You could bring some to Alton Brown in November!! Just do it, Anne! With your crazy baking skills, cinnamon rolls will be a snap. Next to eating them warm from the oven, the smell while they're baking is the best part of the whole arrangement. Gurrrl... you know you had me a carbs and pumpkin and cream cheese. You are a cinnamon roll goddess. Allison has her marshmallows, and you are queen of the cinnabun. Holy smokes, I want to crawl right into the pan with these. 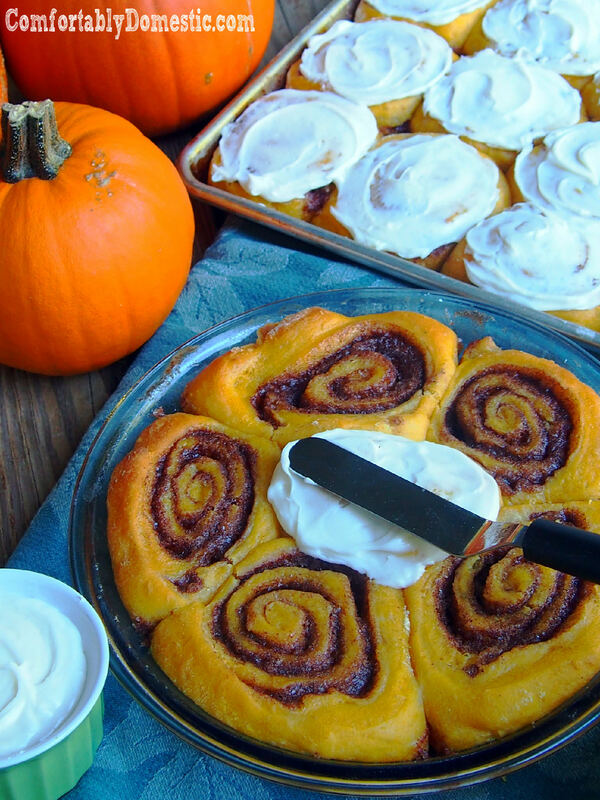 How could you not want to crawl into a pan of anything with pumpkin and cream cheese icing? I can't wait for the day when I can bake cinnamon rolls for you. I really have an obsession lately. You should probably start placing orders. I LOVE pumpkin cinnamon rolls. I always make cinnamon rolls for christmas morning and I make a different recipe each year. Totally making these this year!!! 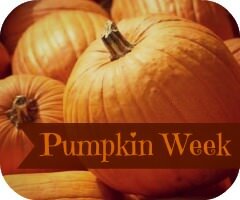 Yay pumpkin week!!! Hooray! What a great family tradition, Shanna! this is like perfection. Two of the best flavors together!! Oh I love fall…. Thank you for sharing. My boys especially thank you! :) ALOHA--such a fun week!!! I would be so thrilled to hear that you made pumpkin cinnamon rolls for your family, dear friend!